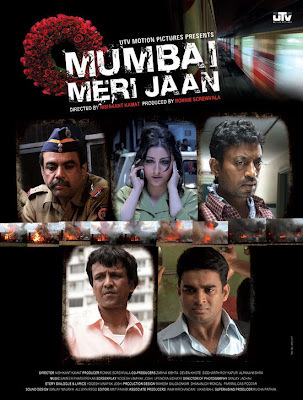 A very well directed movie, a damn well written one too (rare in commercial Hindi cinema) with a myraid set up of characters, Mumbai Meri Jaan is a great watch. The sheer brutishness of bomb blasts and its implications get through here; not many terrorism based movies have done that. Distractions are few, except for a brief character culminating song sequence. But that is a minor crack on a well-built road.